With more and more people wanting to secure their wealth, investors have started looking towards alternative, tangible investments such as gold and fine art; but what about diamonds and especially colored diamonds? In this article we will be looking at how the value of gold, platinum, art, colorless, and colored diamonds has evolved in the past 10 years. While this might seem like a really short time period, it is important for one very important reason; it shows how these assets were valued before, during, and after the financial crisis that hit us not too long ago. The results listed below are comprised of data accumulated from large auction houses such as Sotheby’s and Christies during the past 10 years. Also, all assets will be compared using the 1 gram as a common of measurement. While this might seem odd, especially for pieces of art; it is done in order to fairly compare the concentration of wealth of each asset. This is done by calculating the ratio between value and mass for each item be it a bar of gold, a painting, or a diamond. Let’s start off with colorless diamonds. The highest valued clear diamond during 2007 was a 84.37 carat round cut, brilliant, D colored Flawless stone peaking at $960,000 for 1 gram. On the other hand, the highest valued colored diamond for the year was a 6.04 carat, emerald cut, Fancy Vivid Blue gem reaching a $6.6 million value per gram. Compared to the above, the rest of the assets pale in comparison, with gold and platinum reaching slightly over $23 and $43 dollars respectively. Art fell short when compared with diamonds but still portrayed great value. The most expensive piece sold during 2007 was Rothko’s White Center at approximately $73,000 per gram. The economic crisis has begun, and while turmoil is expected, the assets we are currently looking at only increased in value, with the only exception being the colorless diamond category. The most expensive clear diamond of 2009 was a round cut, brilliant, Internally Flawless, D color reaching $593,000 per gram (a 38% decrease versus 2007). In terms of colored counterparts, the most expensive colored stone was the cushion cut, 5.00 carat, Fancy Vivid Pink reaching a massive $10.8 million per gram (a 64% appreciation versus 2007), setting the record for the next 6 years. The rest of the assets also showed appreciation with gold achieving a staggering 60% increase at approximately $38. Platinum didn’t perform as well but did manage to reach $46. This ultimately translated to a staggering 6481% increase in value. With the turbulence of the crisis having officially set in, many would expect the assets to have taken a hit in these 2 years; however the momentum of appreciation proceeds. The most expensive colorless diamond sold in 2011 was the Elizabeth Taylor diamond, a 33.19 carat, emerald cut, Flawless, D color yielding $1.3 million per gram; a very respectable 124% increase in value. In terms of gold, it’s the first time gold manages to surpass platinum with $53 per gram over $48 per gram respectively. Picasso’s Jeune Fille Endorme was the most expensive art piece for 2009 at $109,000 per gram. This might seem like a massive dip in value, but in actuality it had to do with the size of the portrait being sold. Being significantly larger than Raphael’s Head of Muse, the concentration of wealth was expectedly smaller. During 2013, the most expensive colorless stone was a 118.28 carat round cut, brilliant, Flawless, D color diamond worth $1.3 million per gram. On the other hand, the most expensive colored gem for 2013 was the Pink Dream, a magnificent oval cut, 59.60 carat, Fancy Vivid Pink. While this stone broke the record for colored diamonds, due to its size, the concentration of wealth fell slightly to a still very impressive $7 million per gram. Gold also saw a slight 15% retreat, dropping to $45. This allowed platinum to surpass gold, at $50 per gram. Francis Bacon’s Three Studies of Lucius Freud, was the most expensive art piece for 2013, but due to its truly massive size, the concentration of wealth fell to approximately $48 thousand per gram. The world is officially on the recovery phase of the crisis. In terms of colorless diamonds, the most expensive stone of the year was a 100.02 carat, emerald cut, Internally Flawless, D color. While concentration of value saw a slight drop due to the massive size of the gem, the category still managed to remain over $1.1 million per gram. Colored diamonds however, were by far the winners of 2015. The most expensive gem sold was a 5.18 carat, cushion cut, Fancy Vivid Pink yielding approximately $10.5 million per gram, falling just short of the 2009 record. 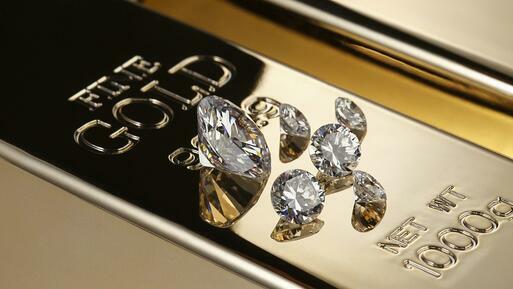 Gold and platinum saw another slight decrease in value with $39 (-13%) and $36 (-27%) per gram respectively. While not a good year for gold and platinum, the same could not be said for artwork as it was the second best performing category in terms of appreciation of concentrated wealth for the year. The most expensive piece sold in 2015 was Picasso’s Les Femmes d’Alger yielding $598,000 per gram, a truly massive 1245% rise compared to 2013. Similarly to 2015, colorless stones saw a decrease but this time it was a bit steeper. The category lost 20% in carat value, but thankfully, the concentration of value per gram only fell 10%. The most expensive diamond for 2017 was the 163.41carat, emerald cut, Flawless, D color diamond de Grisongono, valued at $1.03 million per gram. Colored diamonds saw massive appreciation surpassing their record breaking value of 2009. The most expensive colored stone was a 14.54 carat Fancy Vivid Blue gem achieving a massive $14.47 million per gram, a 33.6% increase to its record in 2009. The concentration of wealth for gold saw stability, remaining at $39 per gram, but the same could not be said for platinum, as the category fell to $30 per gram. 2017 was also a great year for art as well. Le piece de resistance of the year was the Salvator Mundi by none other than Leonardo da Vinci. This 250g painting yielded a truly massive $1.8 million per gram breaking the record for the category. 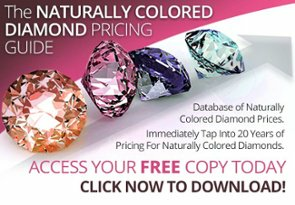 From the above numbers, we can clearly see that fancy colored diamonds have been the best performing category, significantly outperforming all other assets consistently and by a large margin. With demand continuing to soar and supply being limited (and even diminishing for some color categories, like Pinks), it is safe to assume that the wealth concentration will only increase in the years to come. Art is also looking like a great contender for investors and while this is true, the category is volatile. This is mainly because each piece will be from a different artist, different period, and different size canvas; just as we saw in the above paragraphs. For many years, fancy color diamonds lagged behind art piece investments; it’s only been in the past few years that people have been getting more educated and turning their heads towards this exceptional alternative investment asset. It is highly probable that in the next years, more and more people will be turning their attention to this category ultimately causing an influx of value and investment dollars. What is your opinion? How do you think the future will evolve? Let us know. And as always feel free to follow us on LinkedIn and Twitter. Pink Diamond Investment. Is It In Your Portfolio?